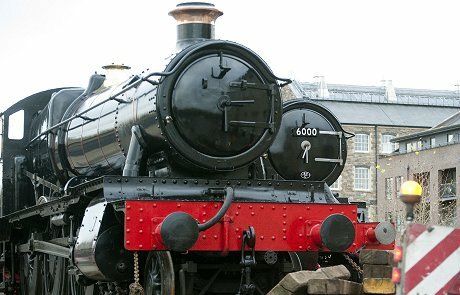 Two of the most iconic locomotives in Great Western history are now almost side-by-side back on the ground where they were built. 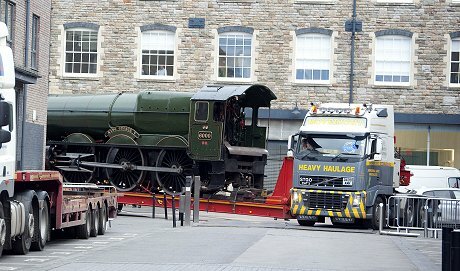 The record-breaking City of Truro joined King George V today after both were transported from the National Railway Museum in York to the Steam Museum as part of a celebration next year for the 175th Anniversary of 'New Swindon'. 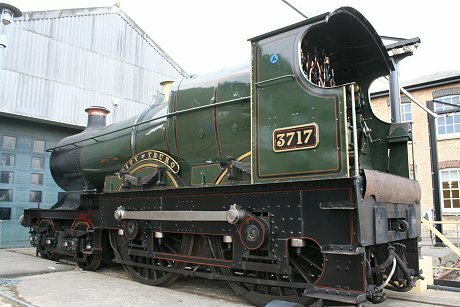 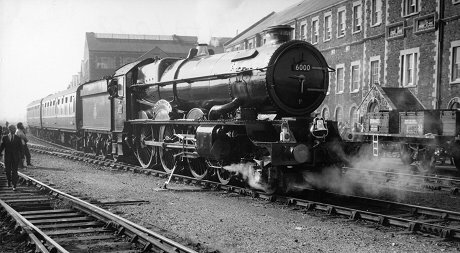 Both locos were built entirely at the Swindon Works during what many regard as the 'heyday' of steam travel during the early part of the twentieth century. 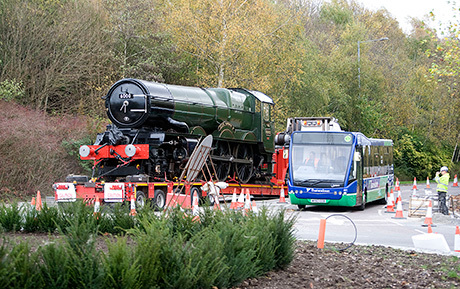 Never have both trains been exhibited together in Swindon before. 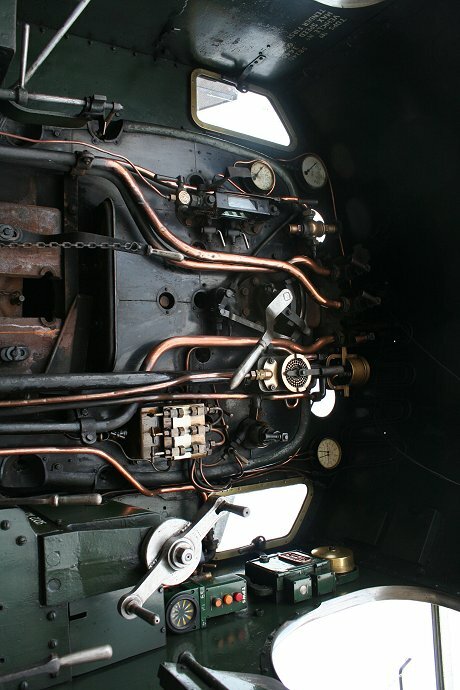 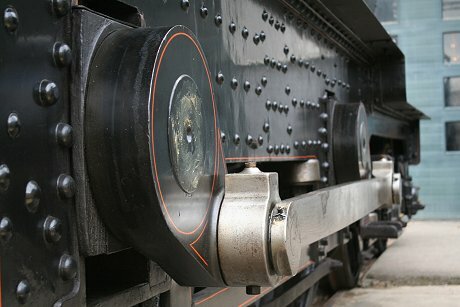 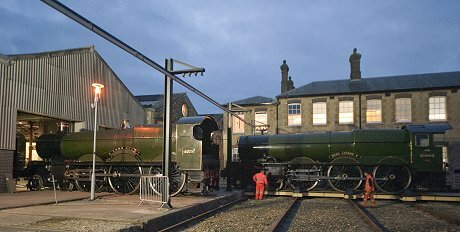 The Steam Museum re-opens on 21 November. 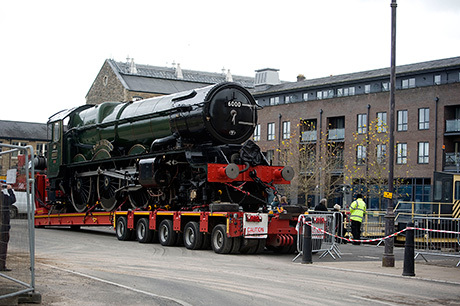 By George, he's back! 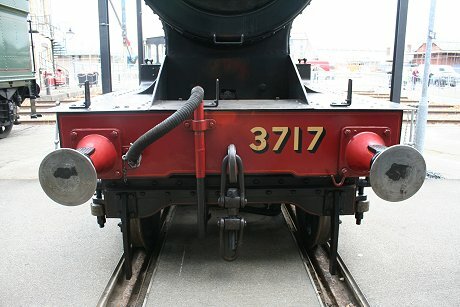 But where's the funnel? 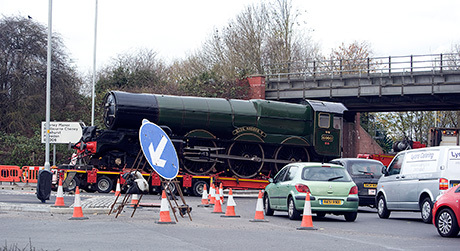 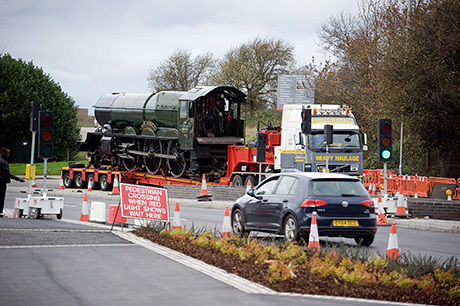 One of the most famous locomotives ever built by the Great Western Railway was back in Swindon today. 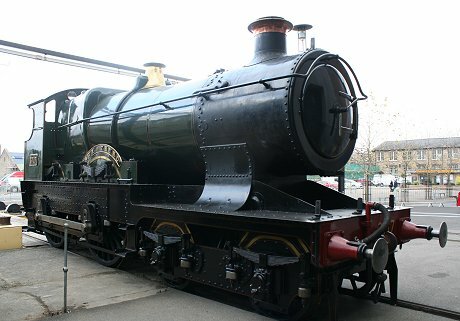 King George V - the first King Class loco built at The Works in 1927 - was transported from the National Railway Museum in York to the Steam Museum as part of an exhibition to celebrate the 175th anniversary of 'New Swindon' in 2016. 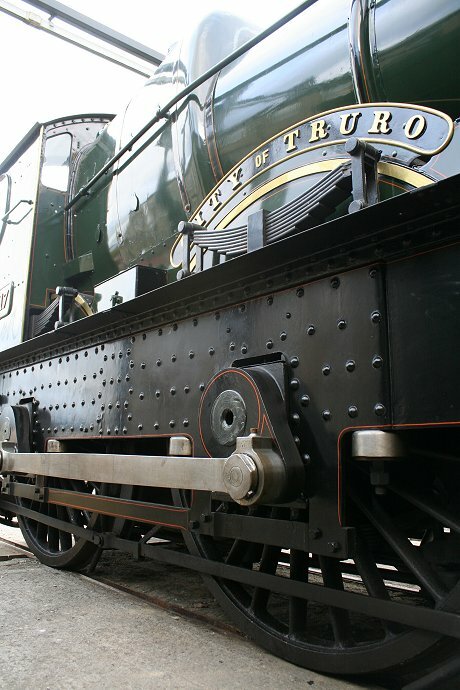 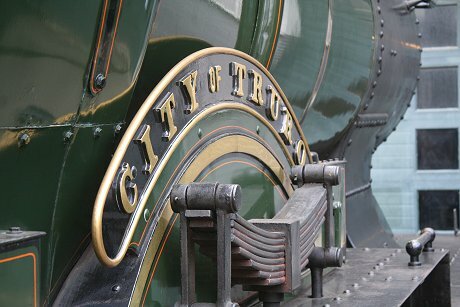 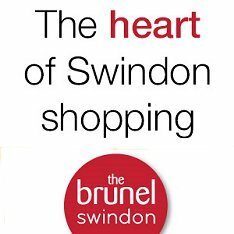 The train will be joined tomorrow by 'City of Truro', another Swindon-built locomotive that became the first ever to reach and pass the magical speed of 100mph in 1904. 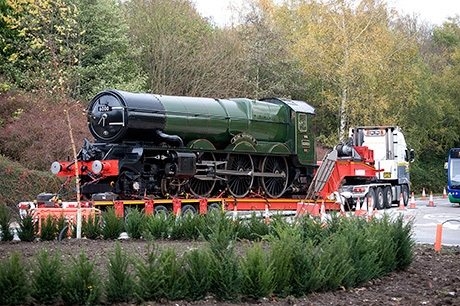 Thanks to Richard Wintle for these pictures as King George V completed the final part of its journey - minus its funnel!.... 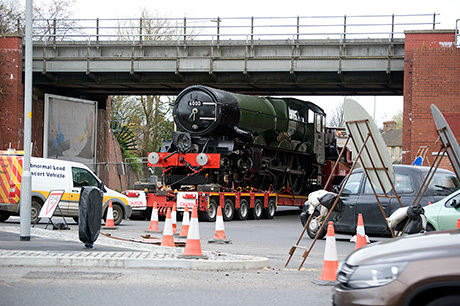 which was removed to allow it to pass under the railway line at nearby Bruce Street bridges.